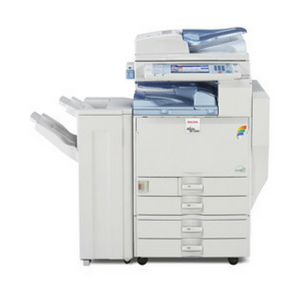 Deliver exceptional multifunction performance with standard printing, scanning and optional faxing. 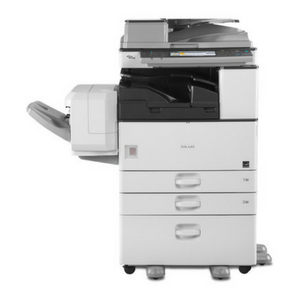 Generate up to 23 black-and-white pages-per-minute and proceed to the next job quickly. Execute workflows seamlessly with a wide range of document distribution tools that can be tailored for your office for maximum convenience. 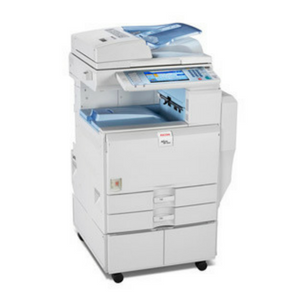 Reprint, refax or scan instantly with the Document Server. 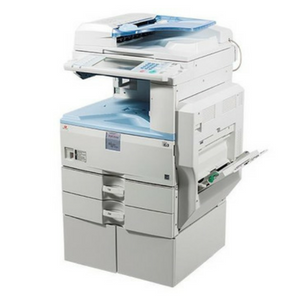 It stores up to 3,000 frequently-used documents to expedite workflow. Access a wide range of system settings including supply levels and job details, assign e-mail notification to key team members, cancel jobs and reboot the system remotely with Web Image Monitor. 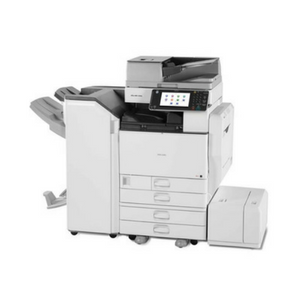 Use Web SmartDeviceMonitor to configure, monitor and manage your entire fleet of connected Ricoh devices—right from your desktop. Promote proactive maintenance with automated alerts for low supplies and errors with Auto-Email Notification. Automate meter submissions, critical event notifications and remote firmware updates with @Remote.